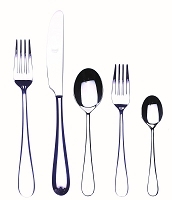 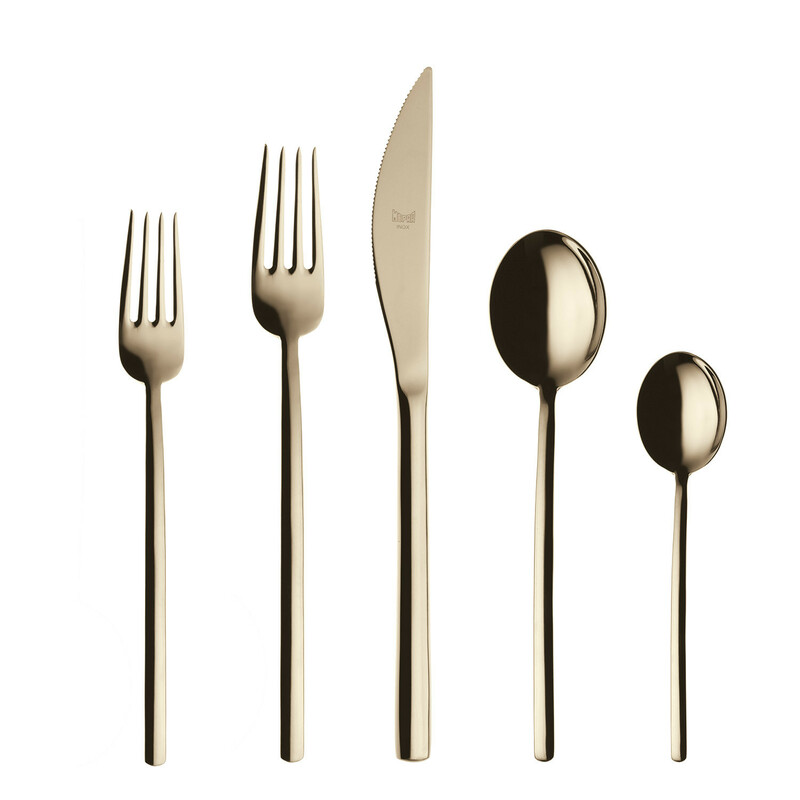 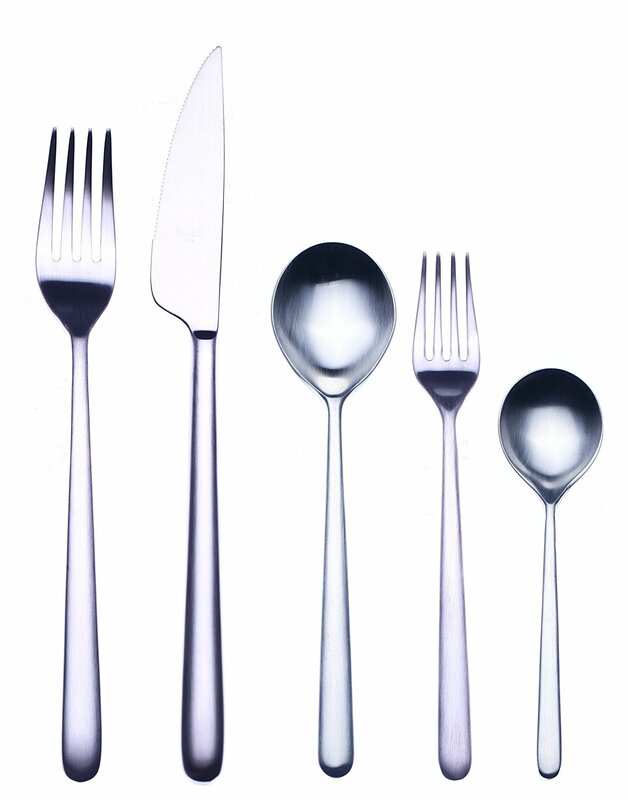 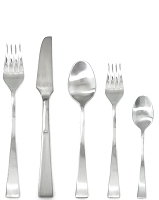 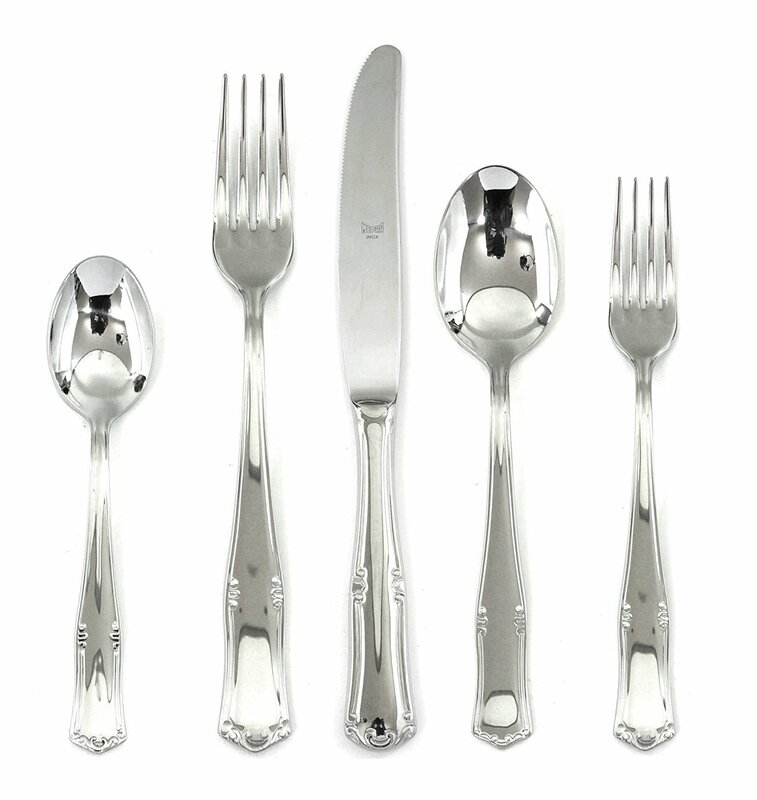 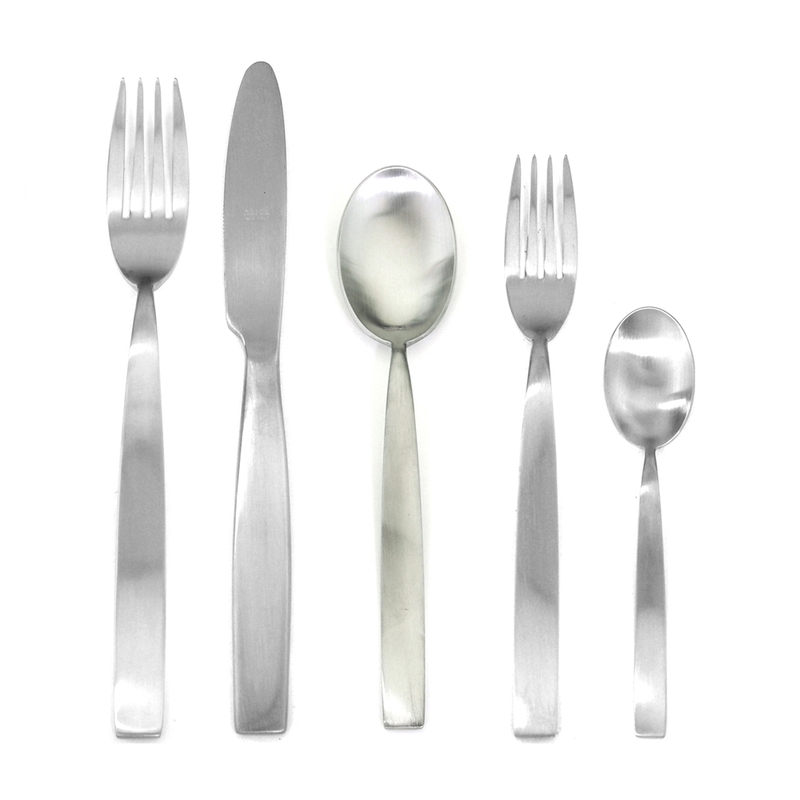 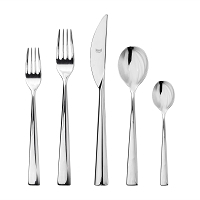 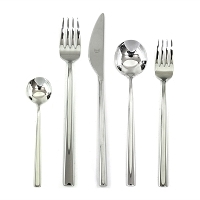 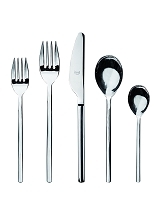 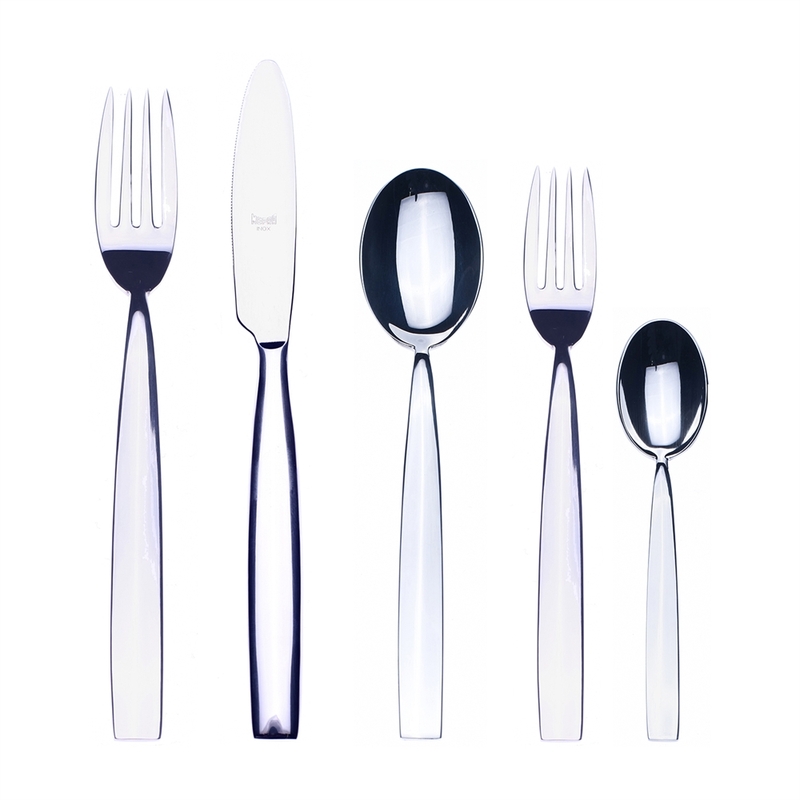 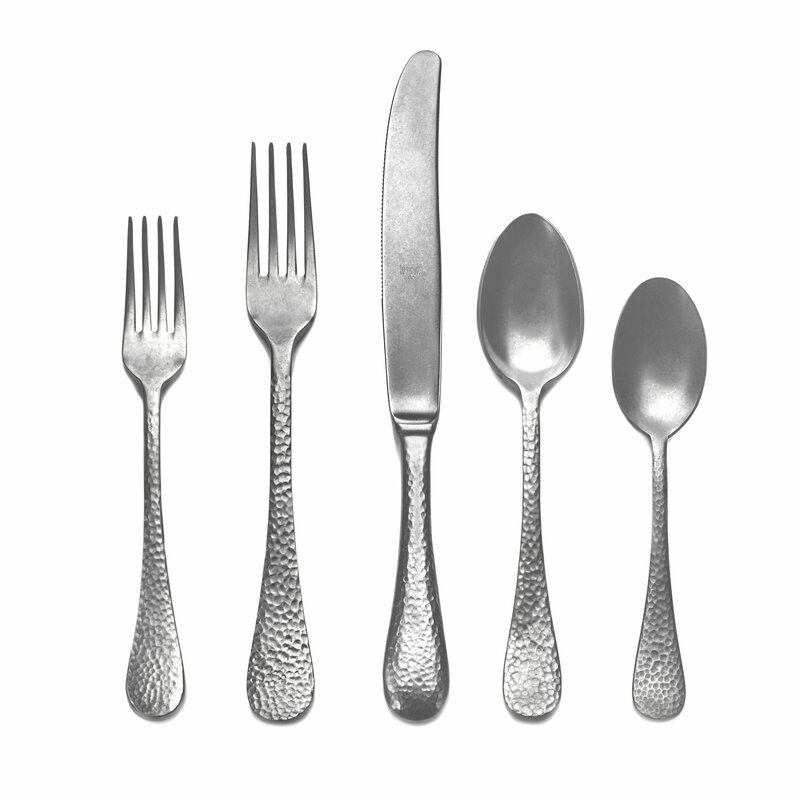 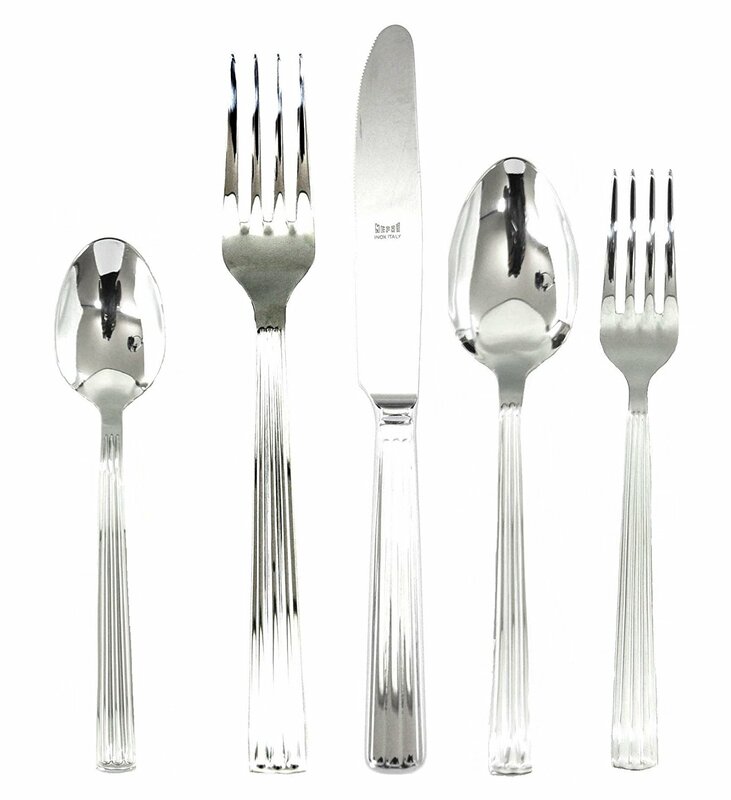 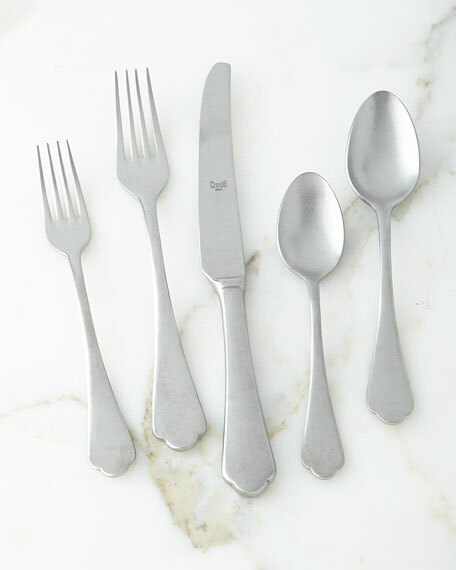 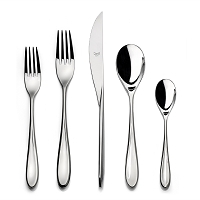 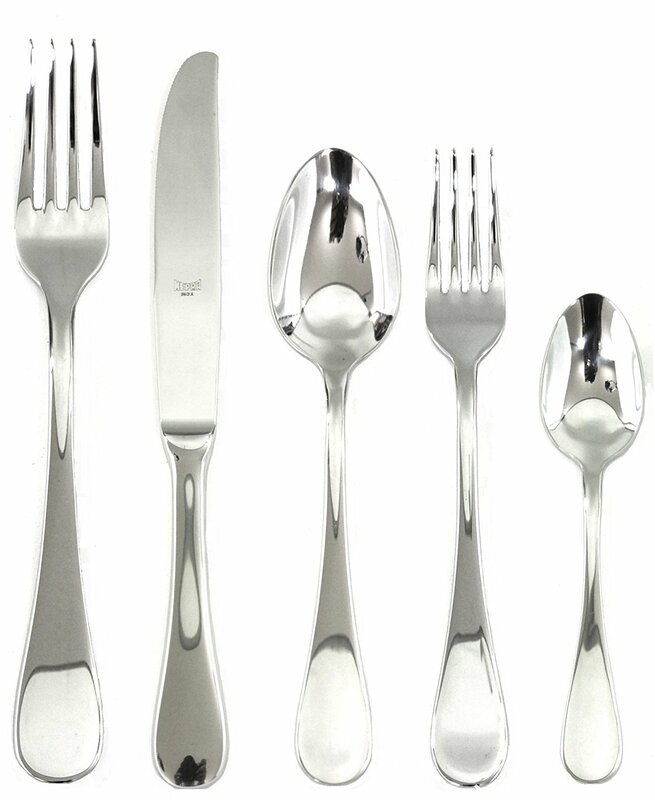 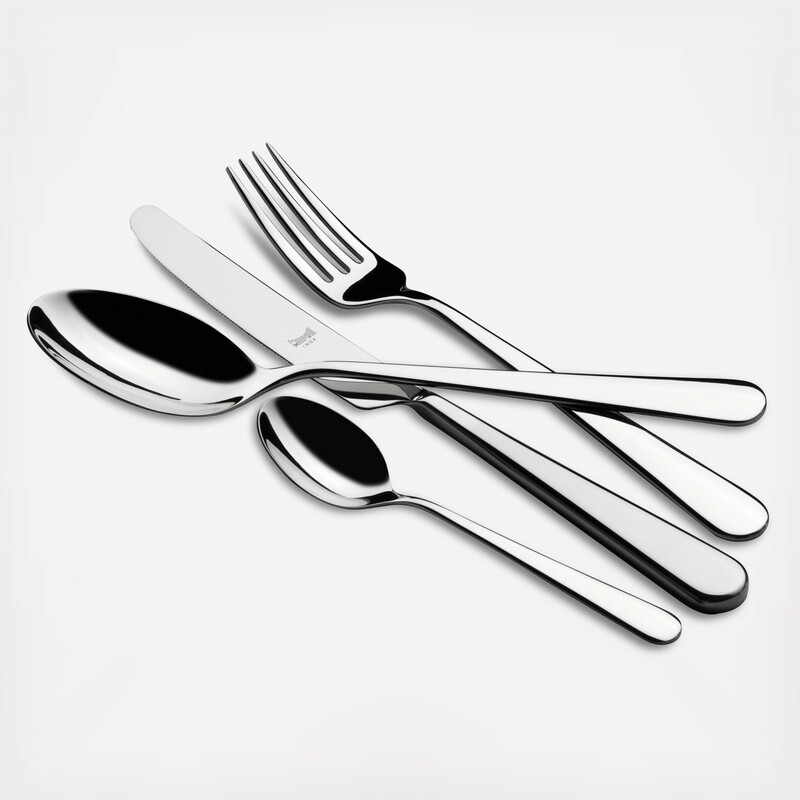 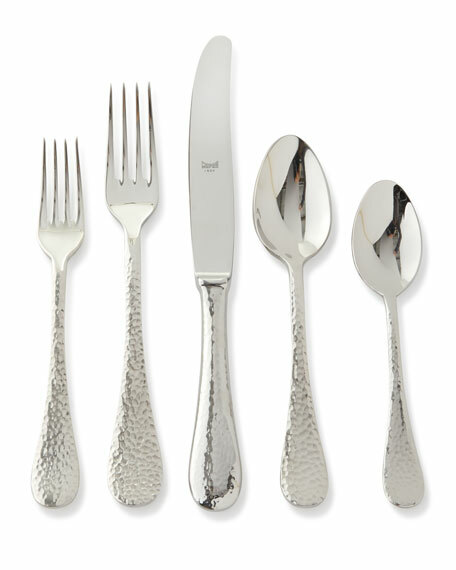 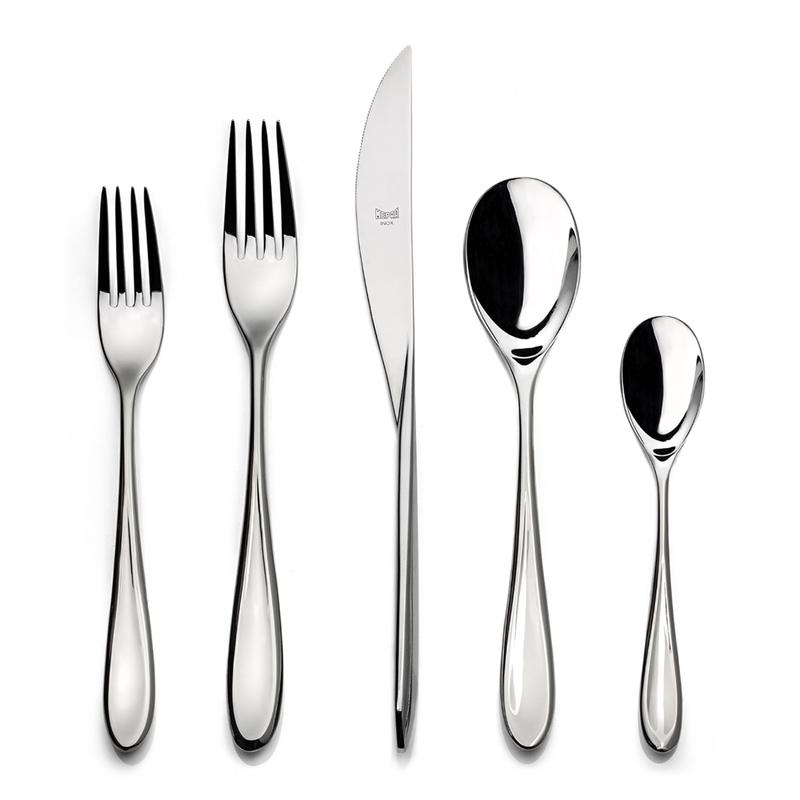 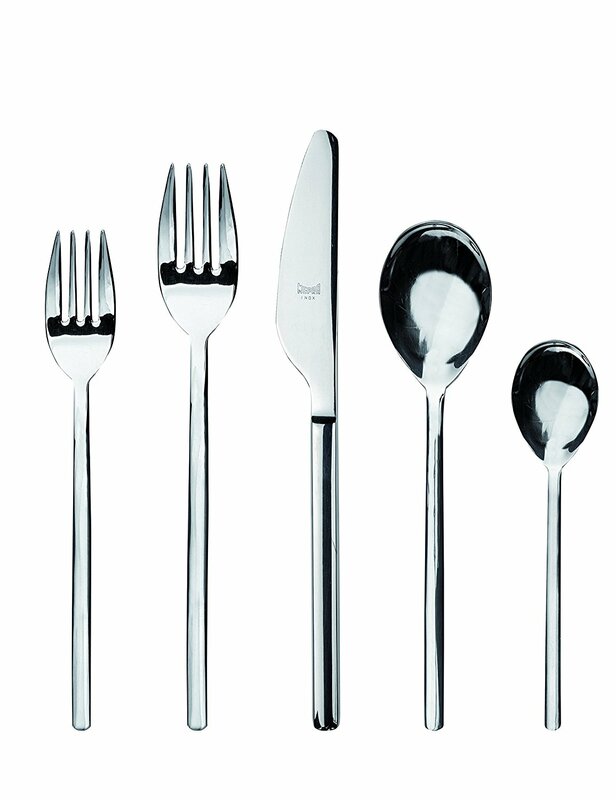 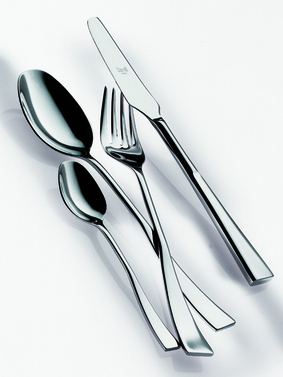 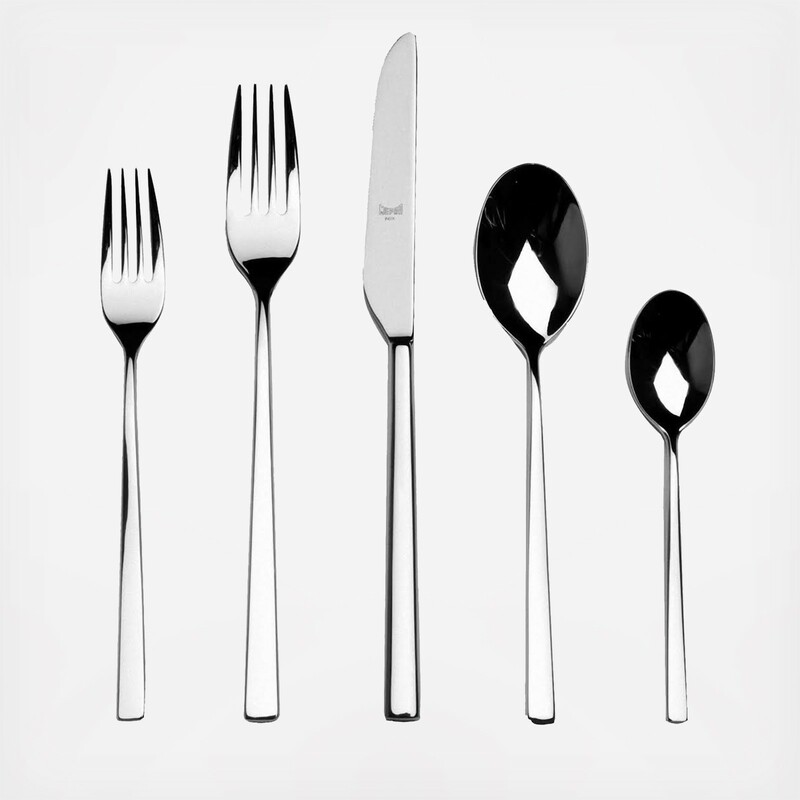 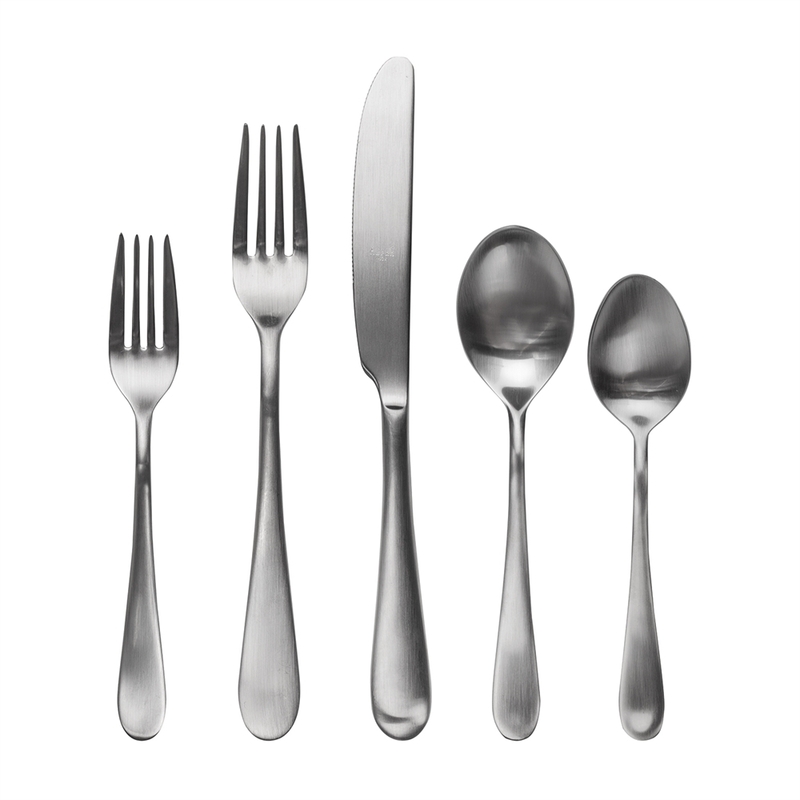 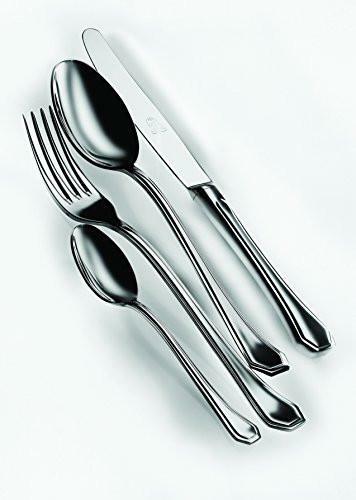 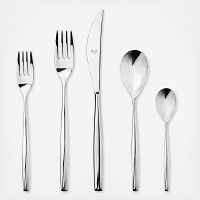 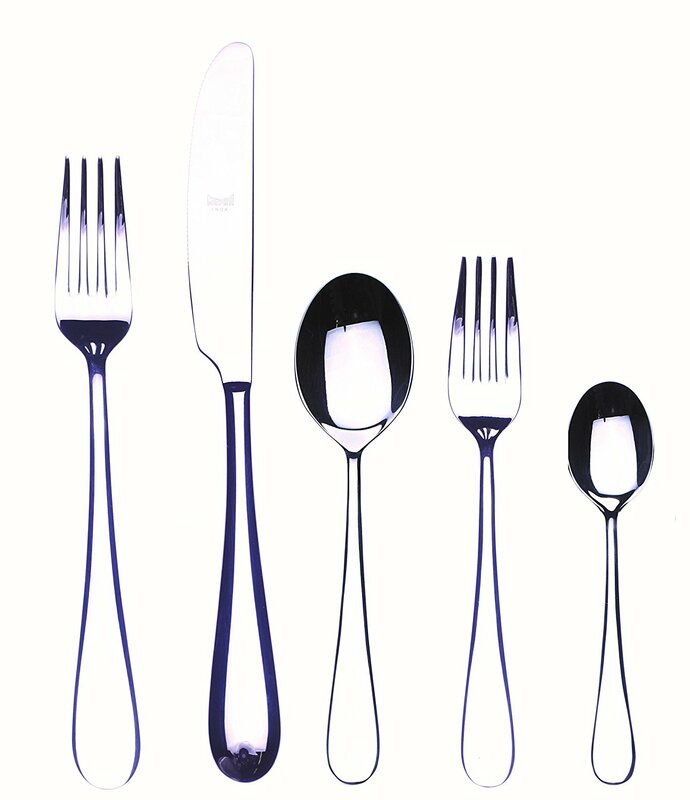 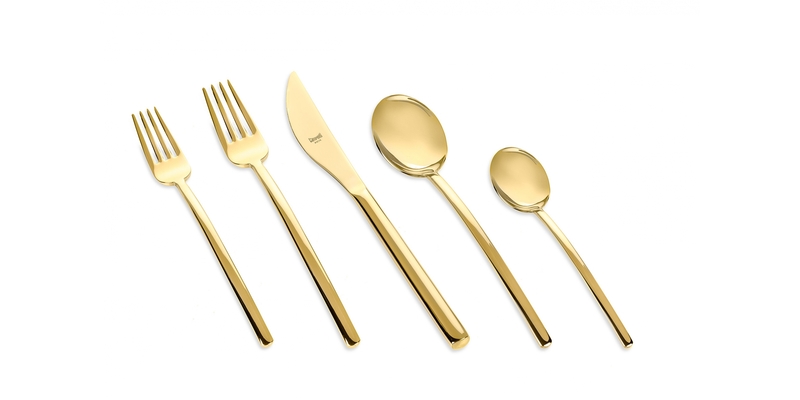 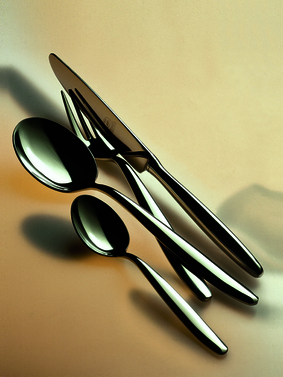 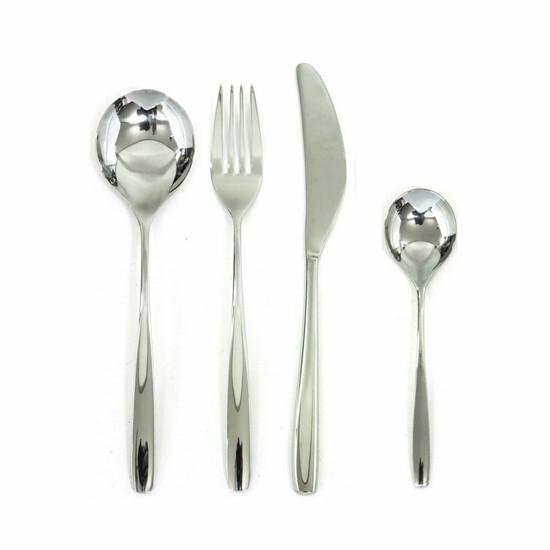 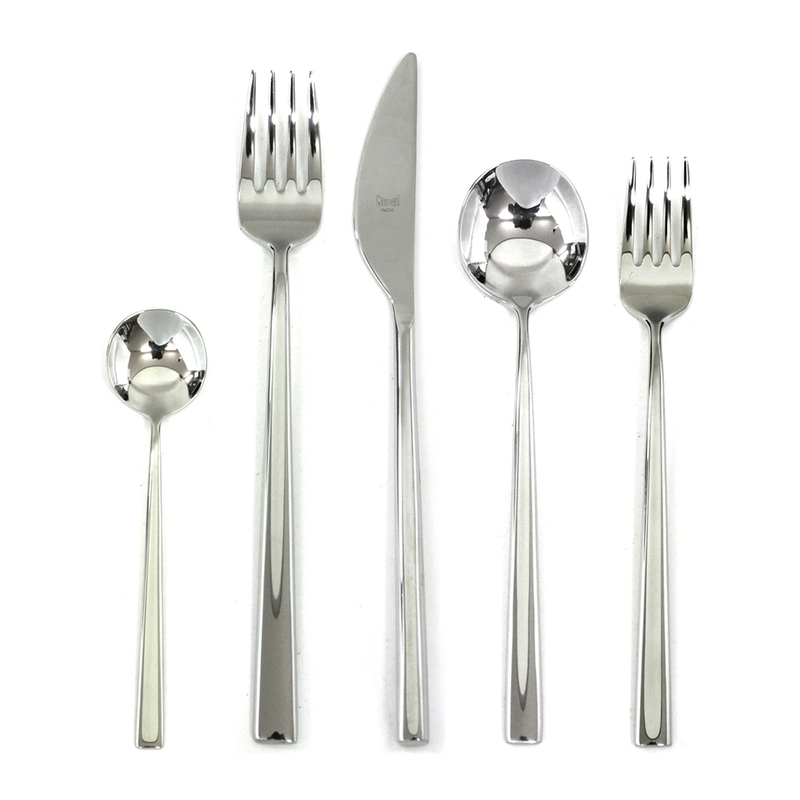 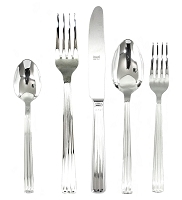 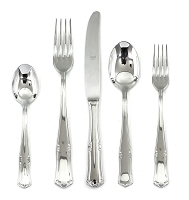 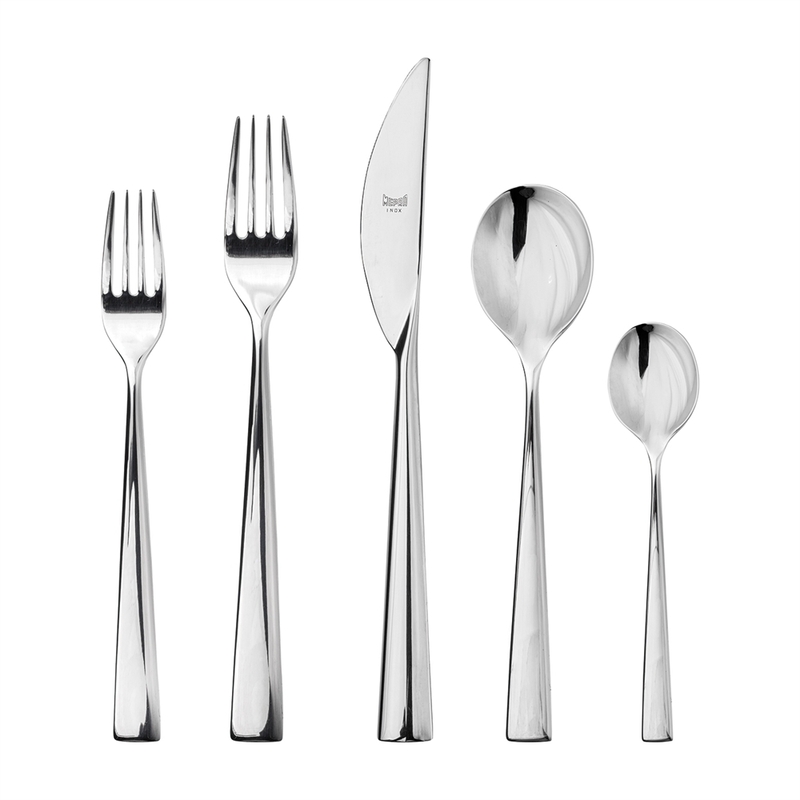 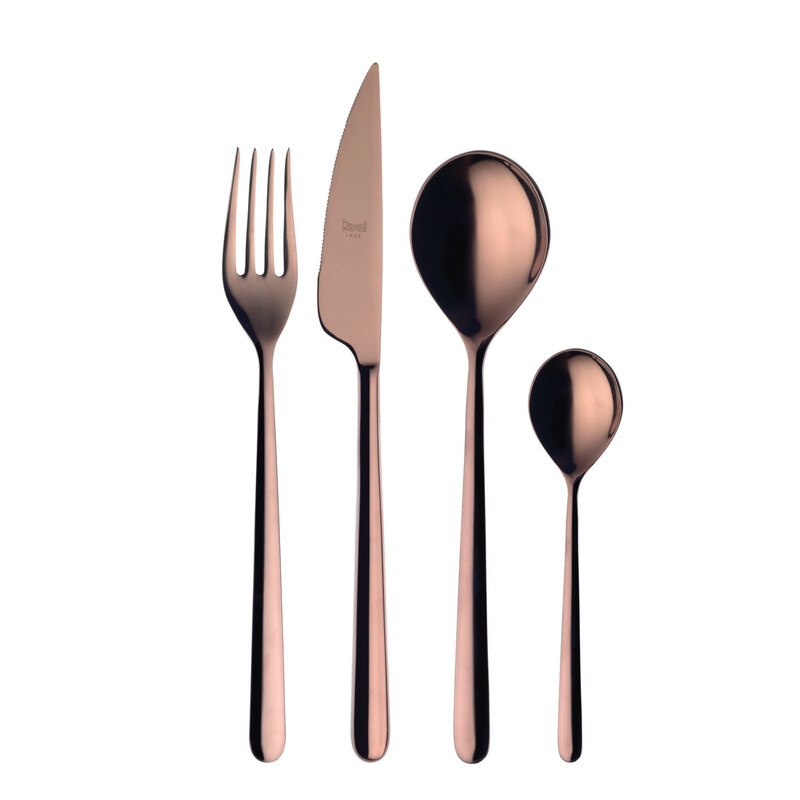 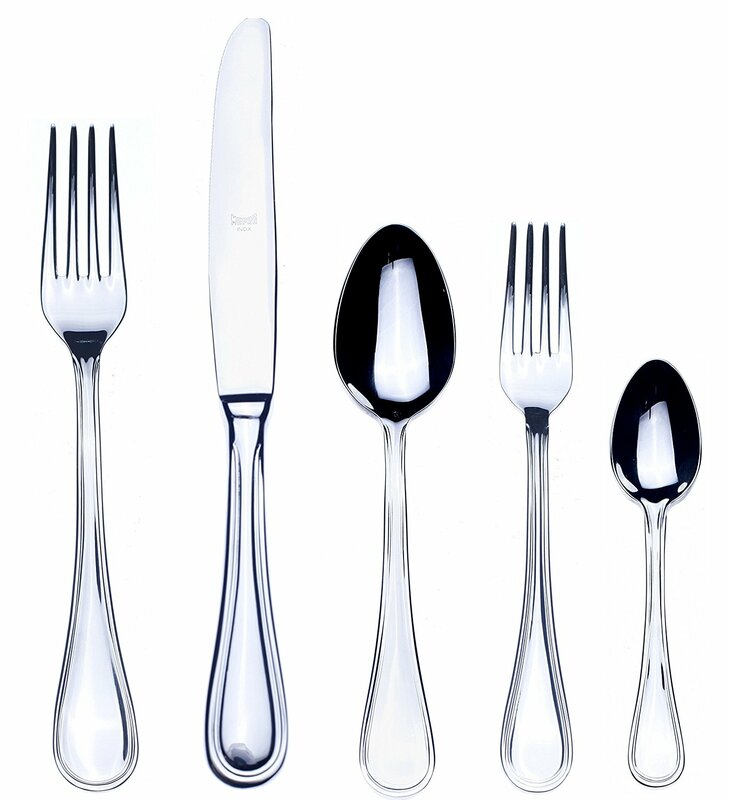 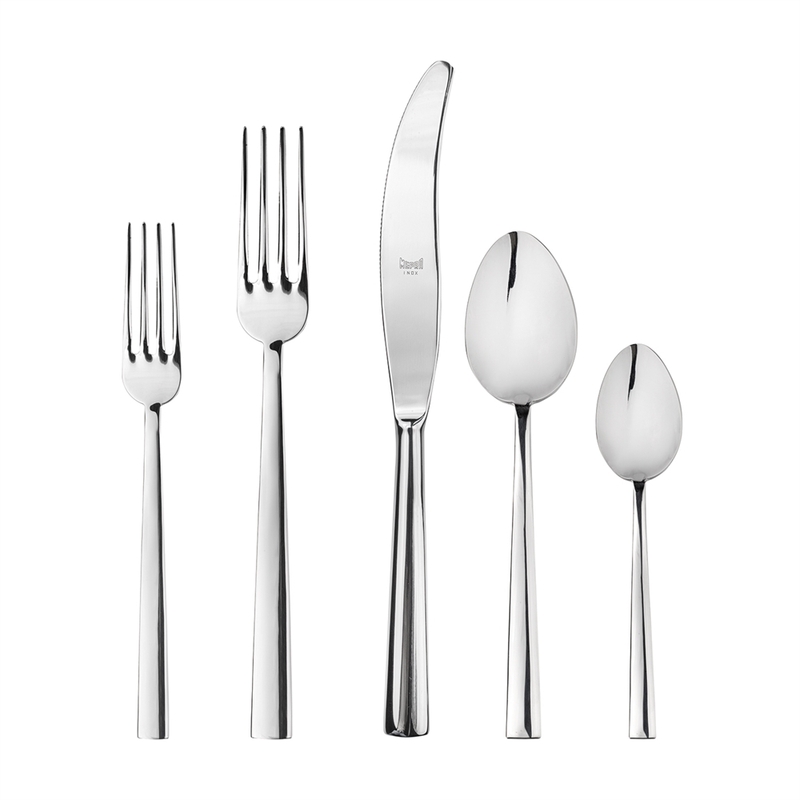 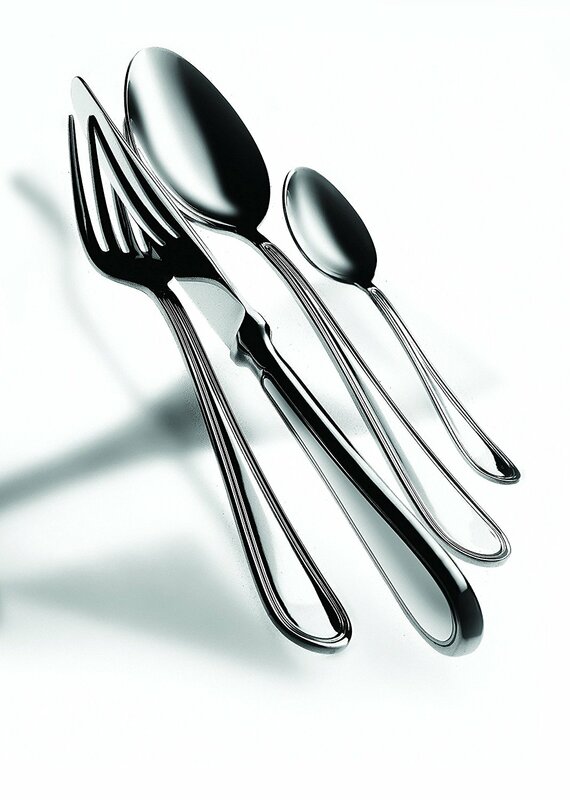 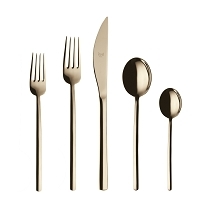 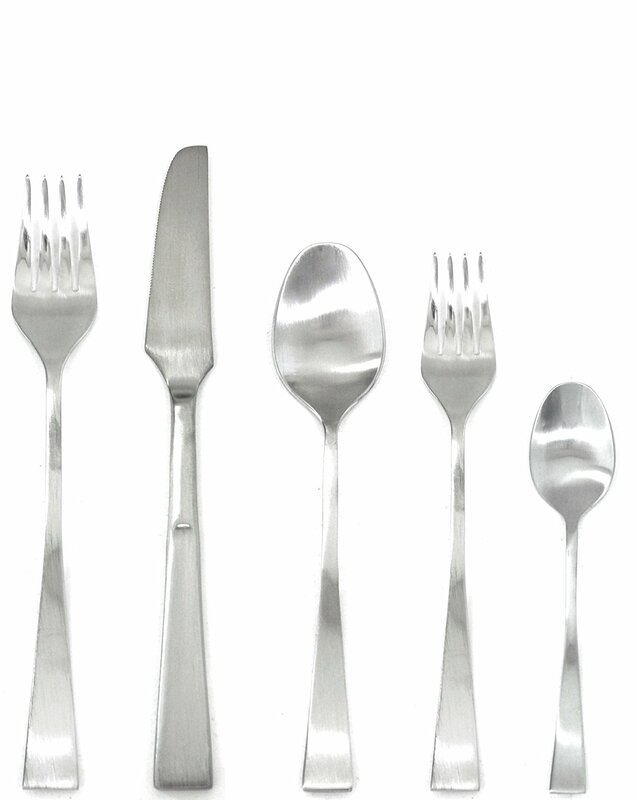 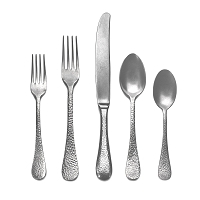 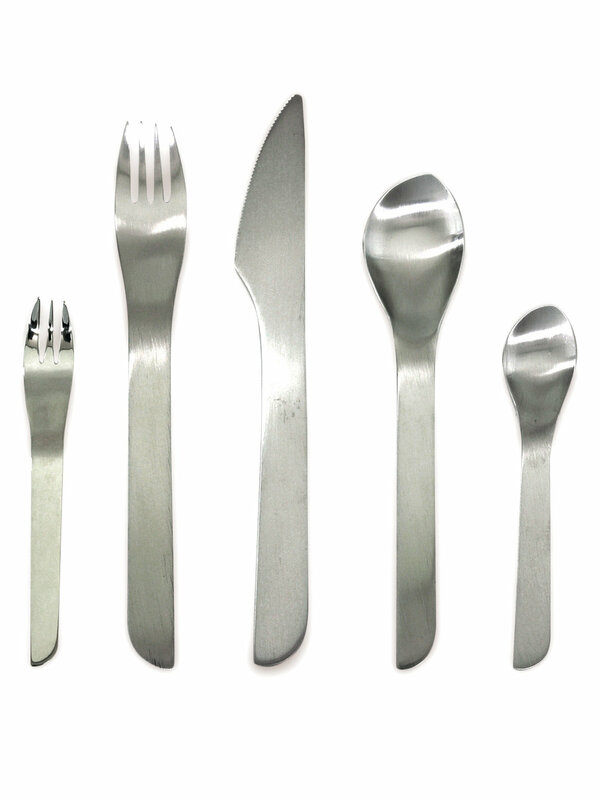 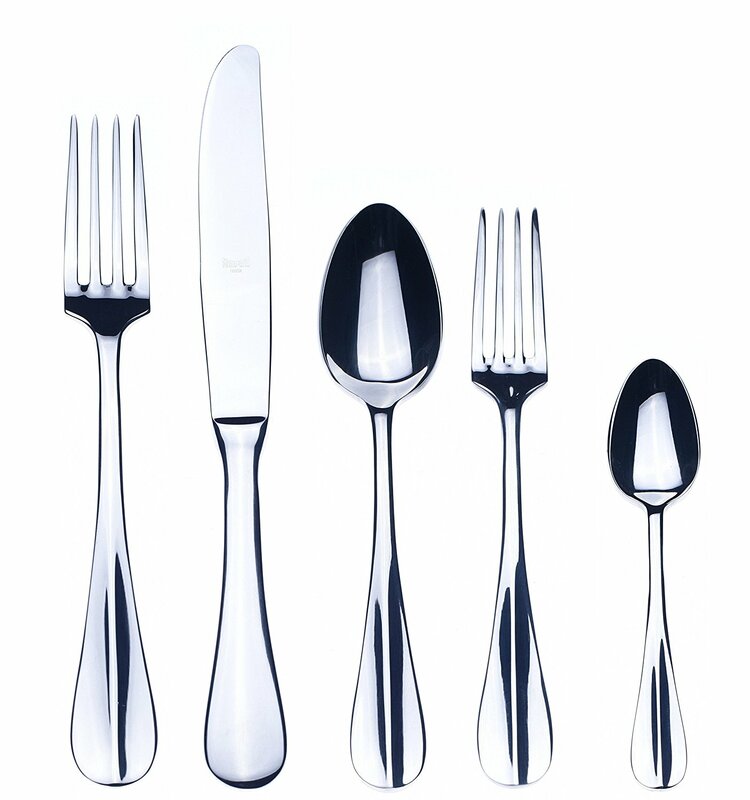 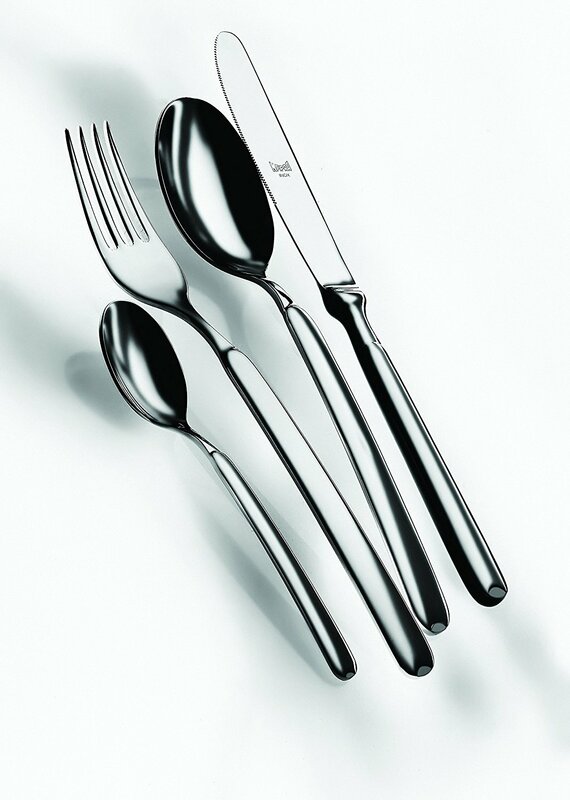 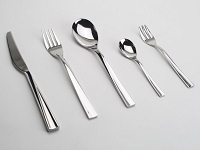 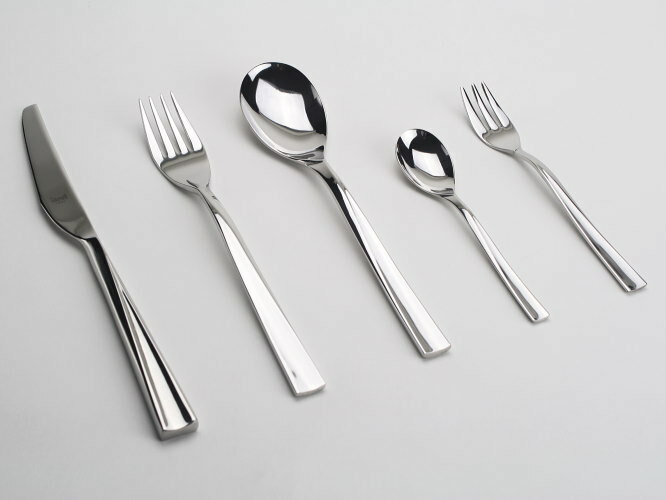 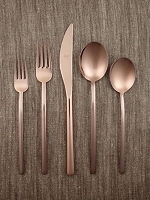 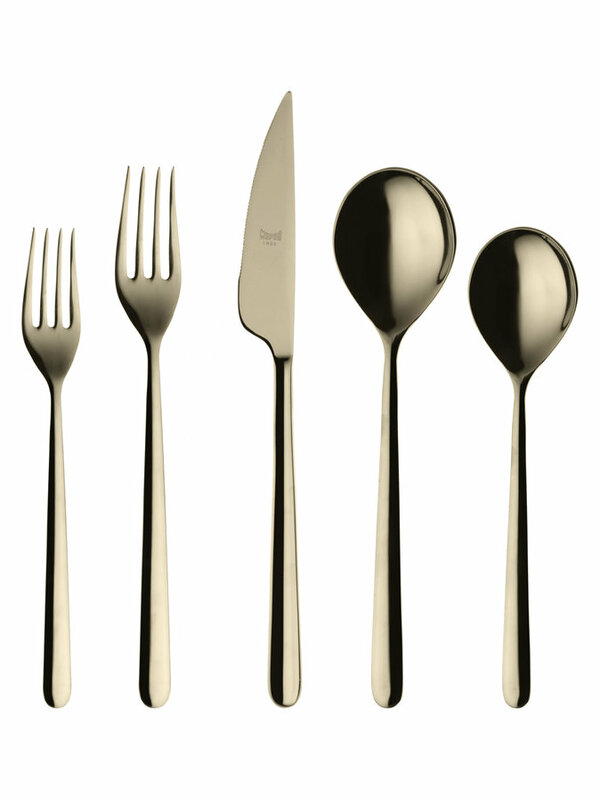 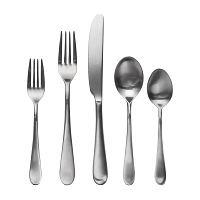 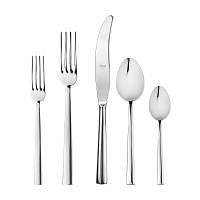 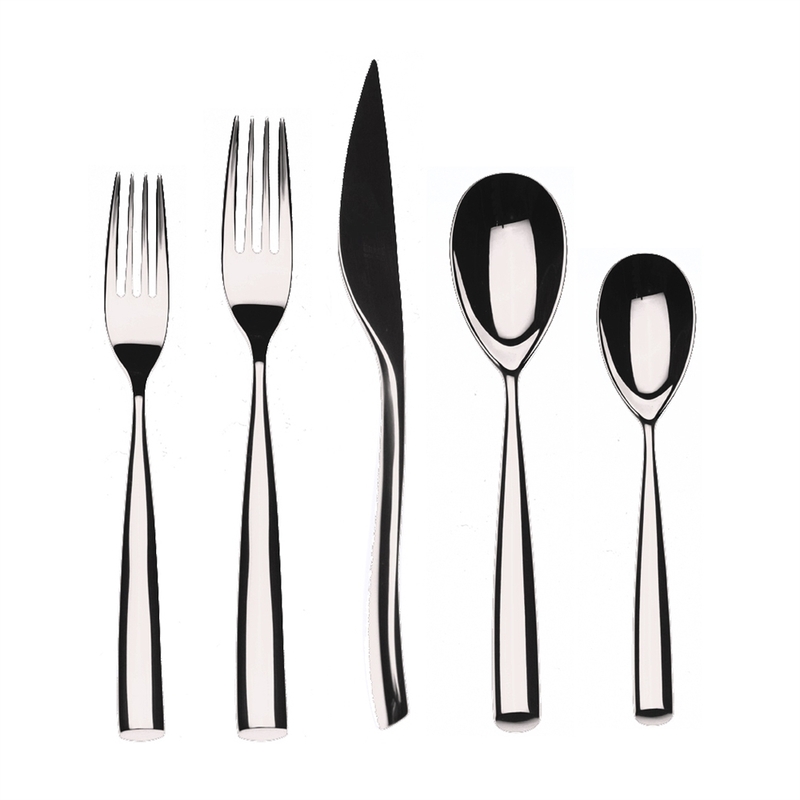 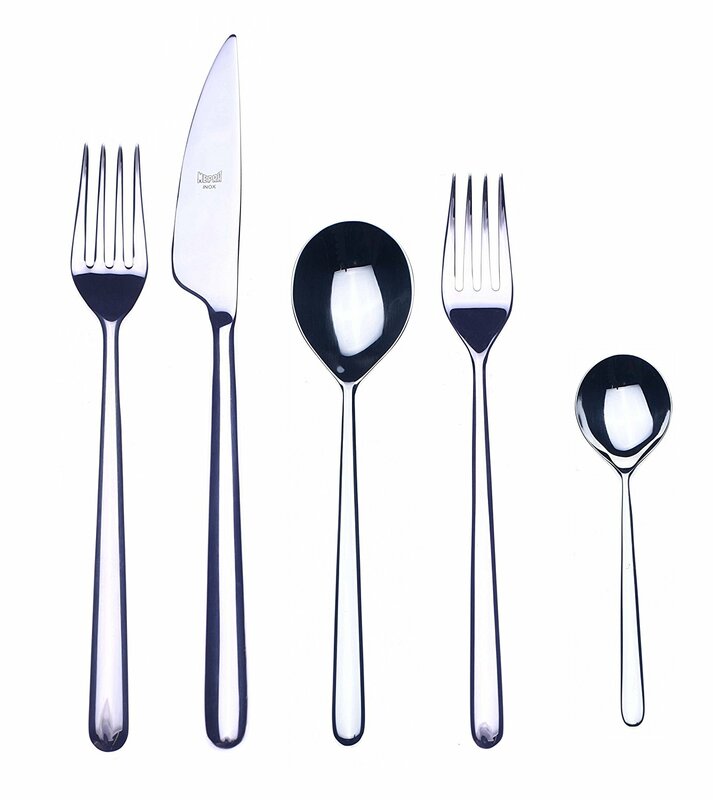 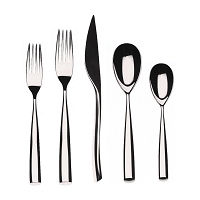 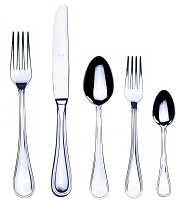 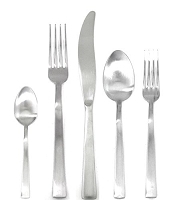 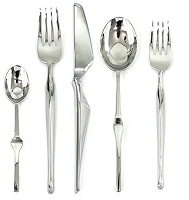 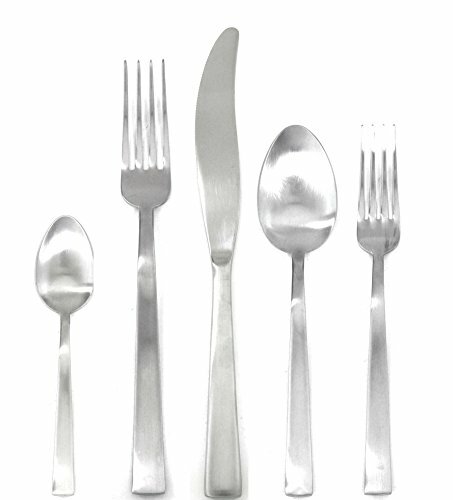 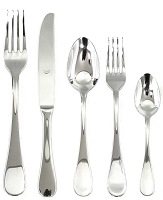 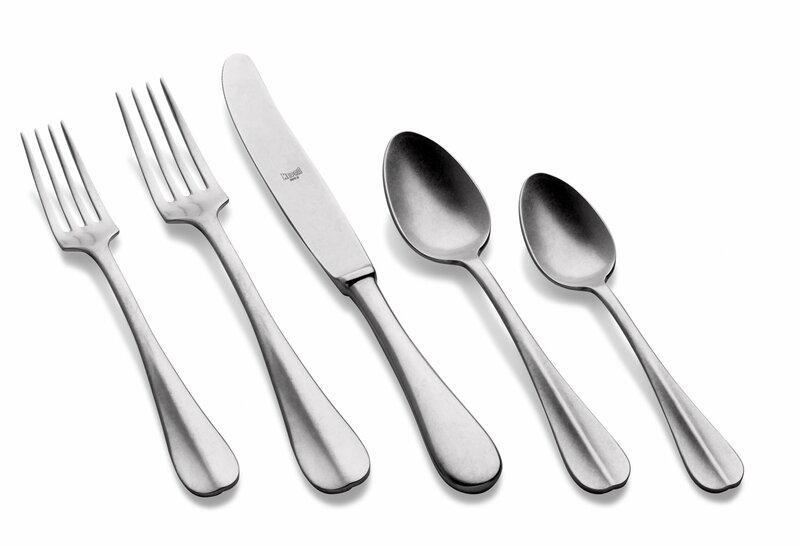 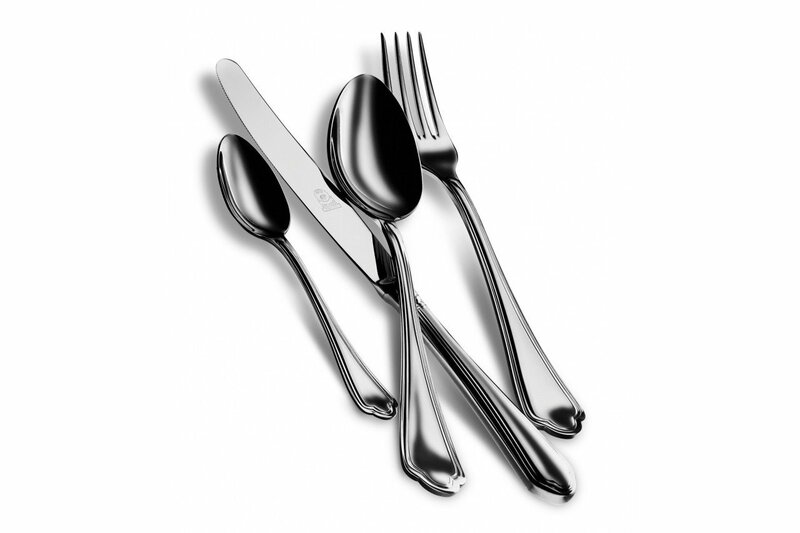 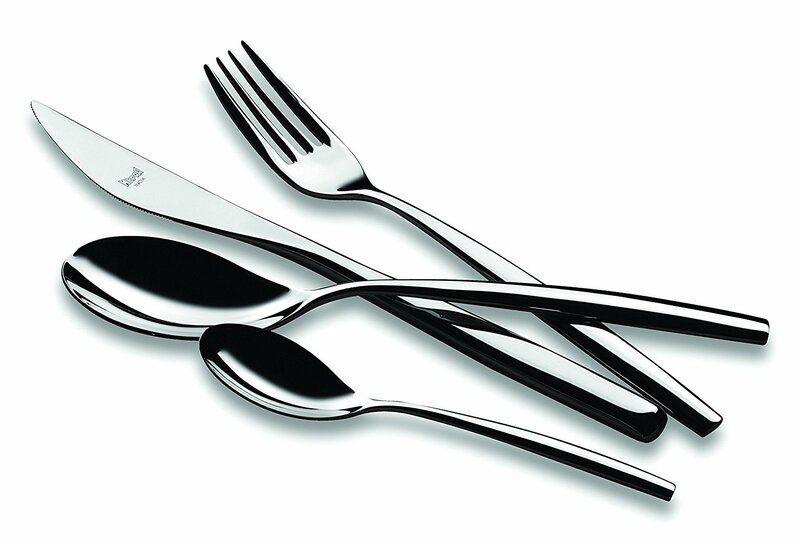 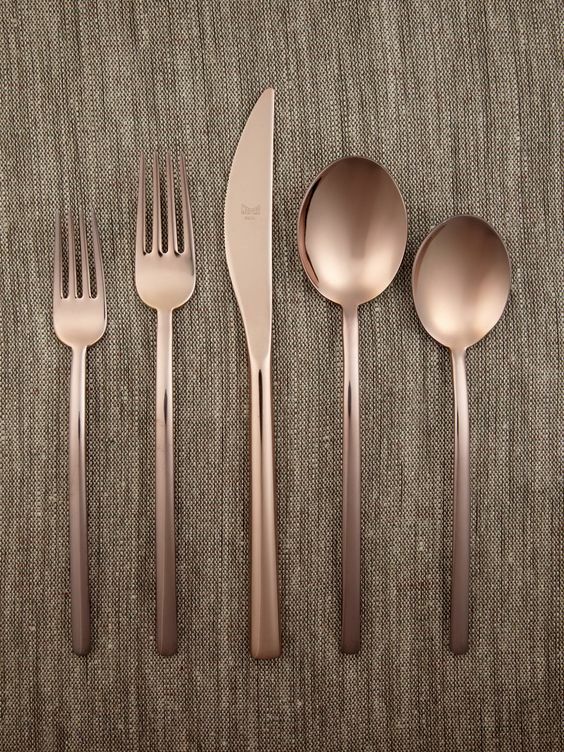 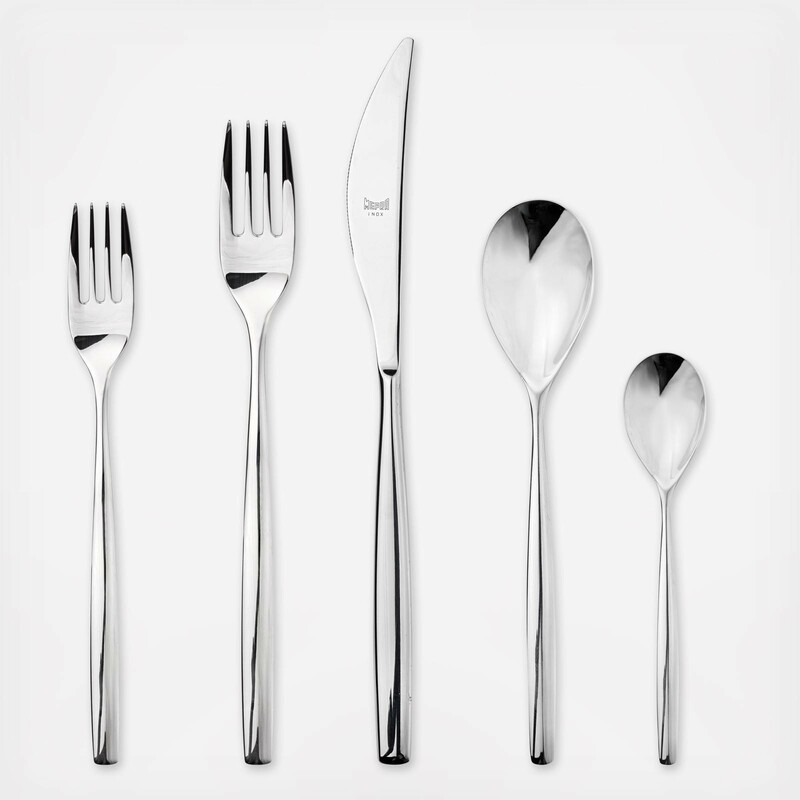 Mepra Luxury Italian Flatware has a long tradition of metal working started in 1901 by the Prandelli Family, and culminating in the company now called MEPRA, which stands for ? 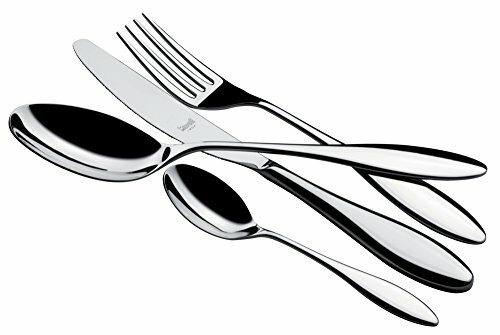 Metallurgica Prandelli?. 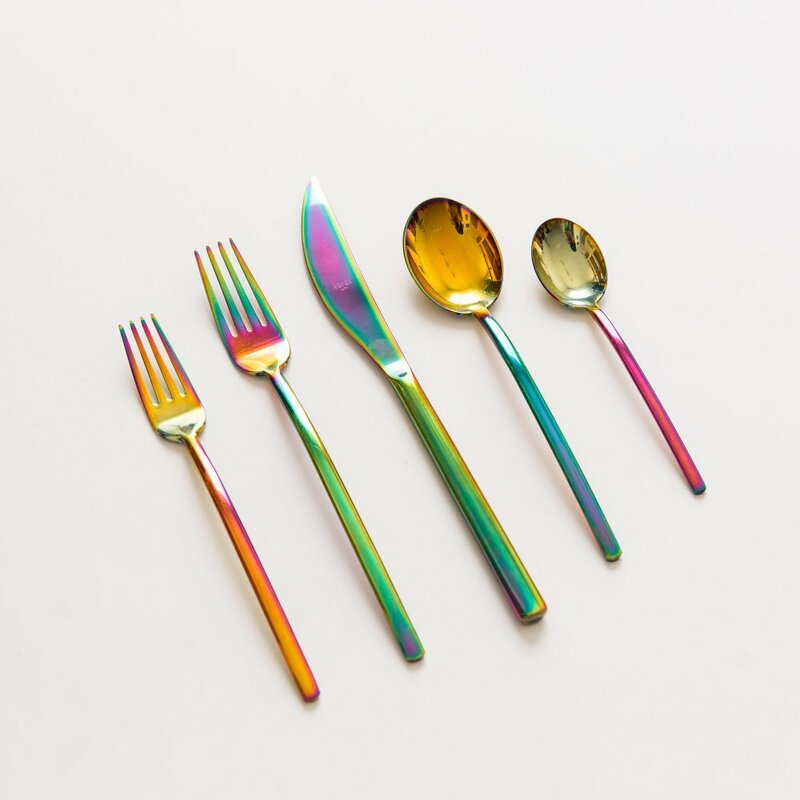 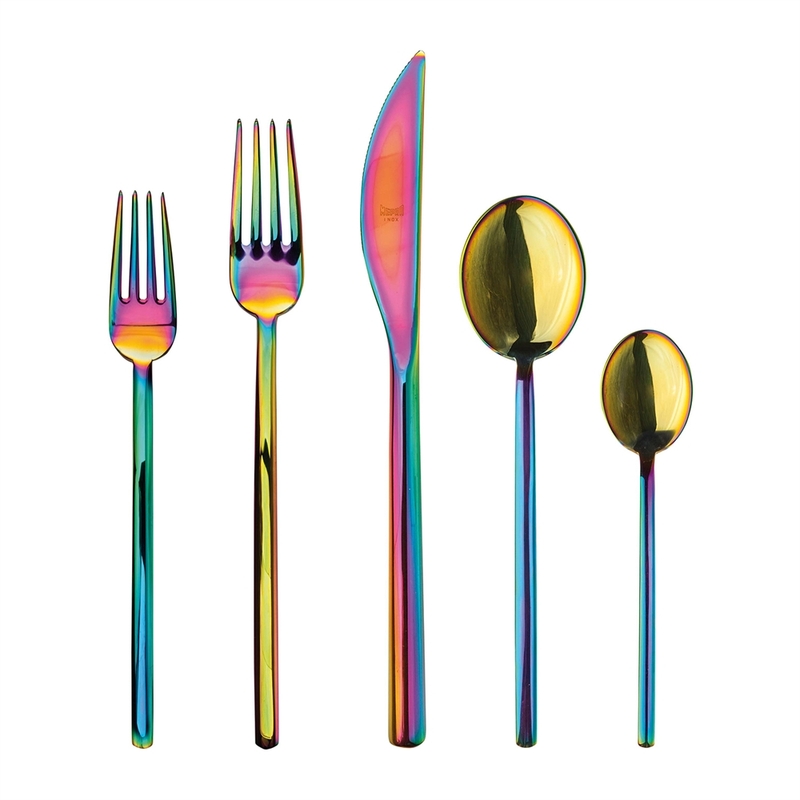 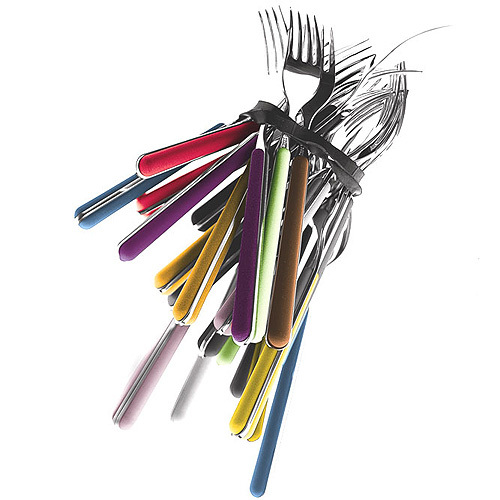 Mepra produces some of the world?s finest 18/10 stainless steel flatware, hollowware, and kitchenware , and is world renowned as being one of the pioneers in the art of multicolored finishing techniques. 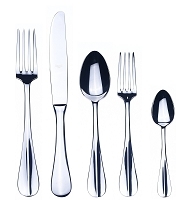 Mepra stainless is made with the company?s commitment to manufacturing excellence, as well as the tradition, culture , and design quality of ?Made In Italy?. 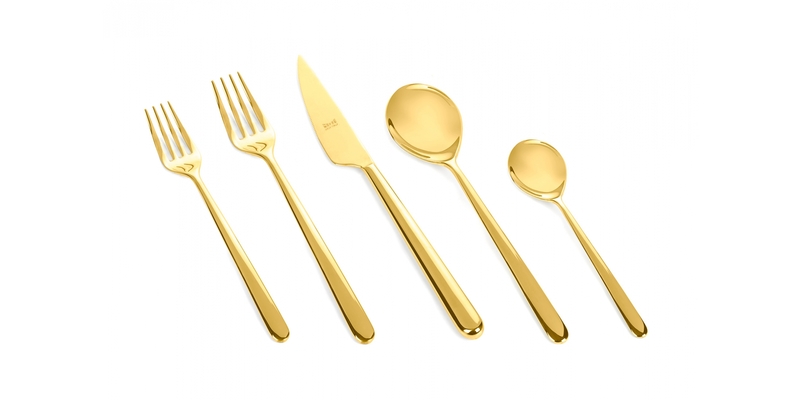 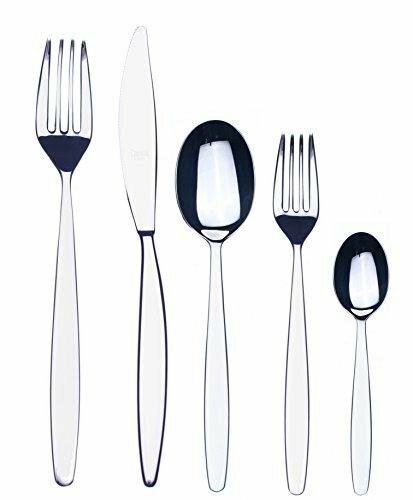 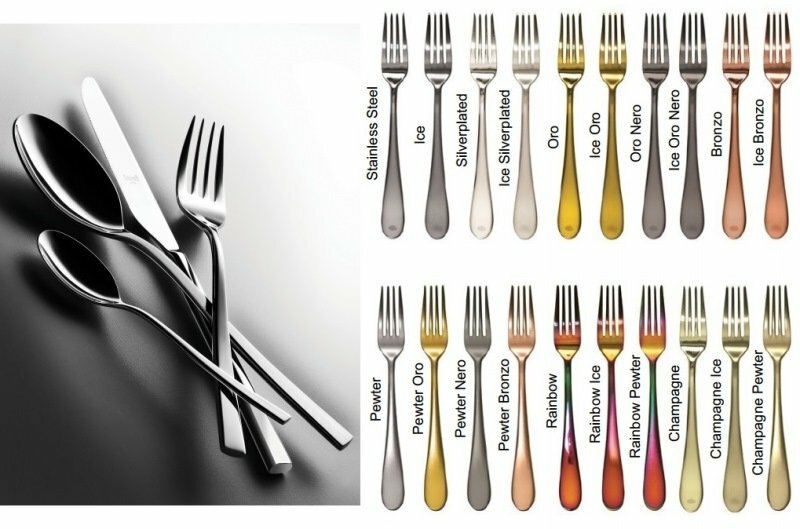 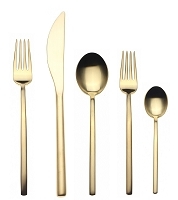 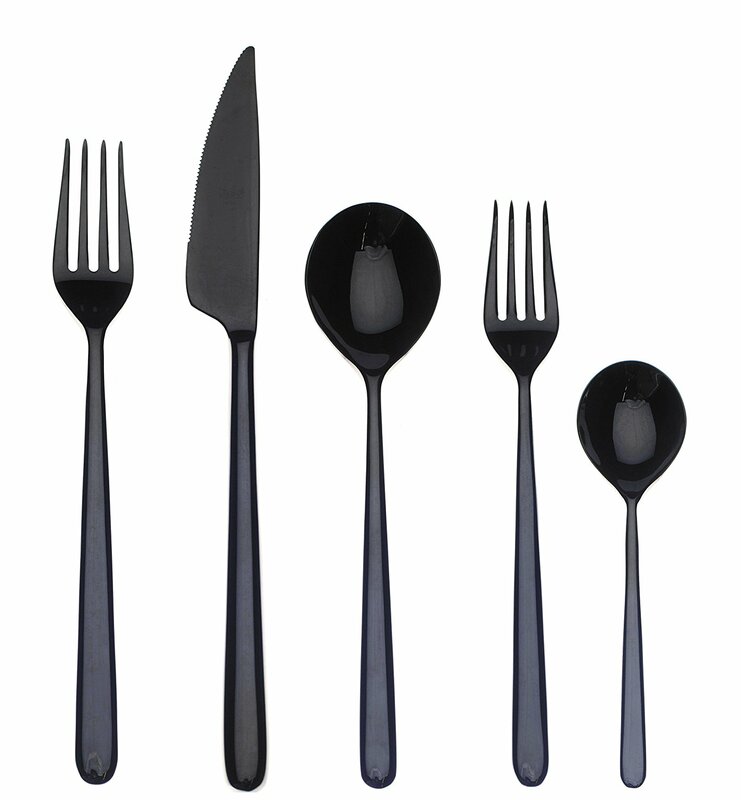 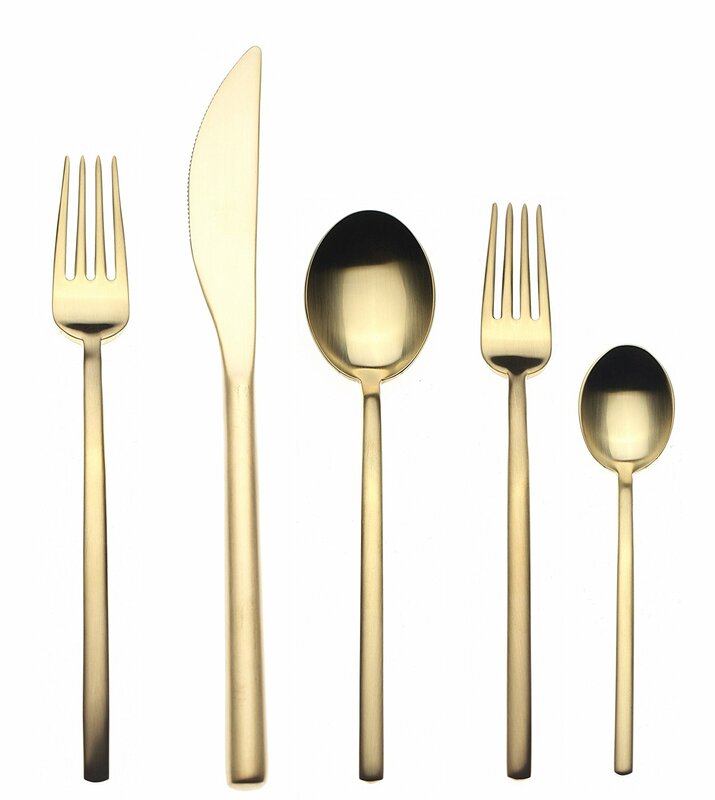 Shop Chinaroyale for Mepra Luxury Flatware in all colors, including black, gold, platinum, matte, shiny , and multicolored, and set a unique and elegant table! 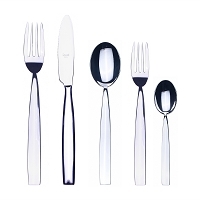 Mepra STIRIA 5 Piece Place Setting.